LONDON -- AstraZeneca took a further step to bolster its pipeline of new cancer drugs Monday by agreeing to acquire privately held U.S. biotech company Amplimmune for up to $500 million. The deal is the second within 24 hours in the cancer-drug sector, following Amgen (AMGN) much larger acquisition of Onyx Pharmaceuticals (ONXX) for about $10.4 billion. Amplimmune specializes in developing treatments designed to help the immune system fight cancer and the purchase will give AstraZeneca (AZN) access to a number of compounds currently in pre-clinical development. While it won't yield commercially viable new medicines for several years, the move fits with the British drugmaker's strategy of building up its capability in oncology -- a key area identified for investment by CEO Pascal Soriot. AstraZeneca's MedImmune biotech unit will acquire 100 percent of Amplimmune's shares for an initial $225 million and a deferred consideration of up to $275 million based on reaching predetermined development milestones. "It will allow us to strengthen our arsenal of potential cancer therapies," Bahija Jallal, executive vice president of MedImmune, said of the deal. 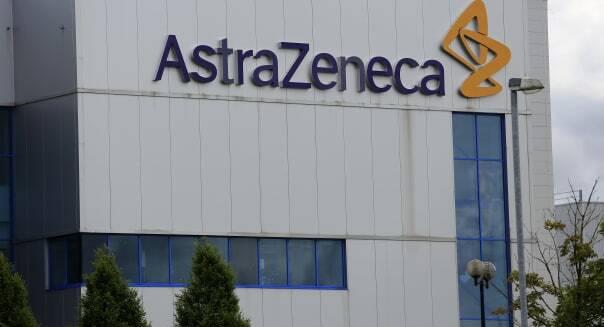 AstraZeneca already has other immune-mediated cancer therapies in clinical development and its decision to place a further bet on early research reflects its determination to compete with companies such as Roche Holding AG and Merck & Co. (MRK) in a hot area of cancer research. The new wave of medicines that tap the power of the immune system to fight cancer could become the biggest drug class in history, with potential sales of $35 billion a year, according to analysts at U.S. bank Citigroup (C). Amplimmune's product line-up includes AMP-514, an anti-programmed cell death 1, or PD-1, medicine that is expected to ready for testing in patients later this year.